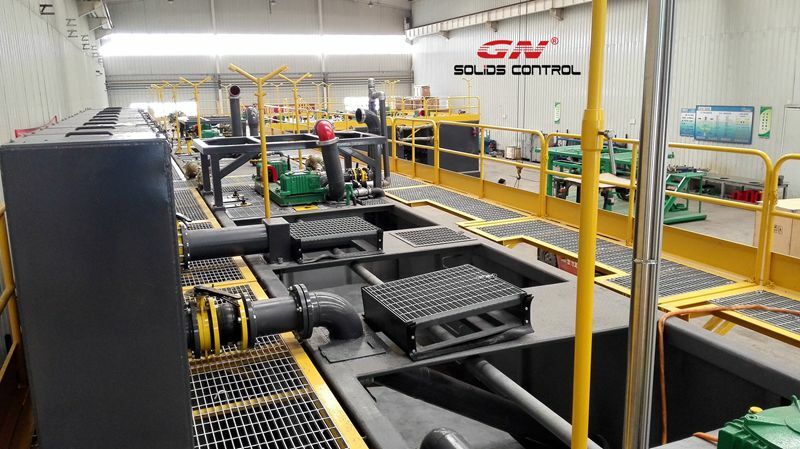 GN Solids Control just provided one whole set mud system for Indian ZJ 50 Rig. Client from India come to GN Solids Control for inspecting this whole system before delivery. Good evaluations are given and some wise suggestions are also advised. 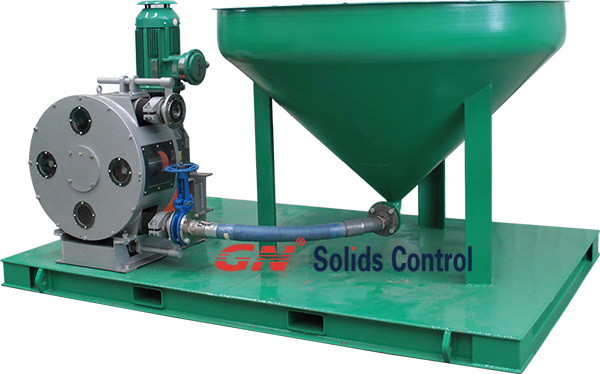 GN Solids Control designed and manufactured this mud system based on customer’s demands. 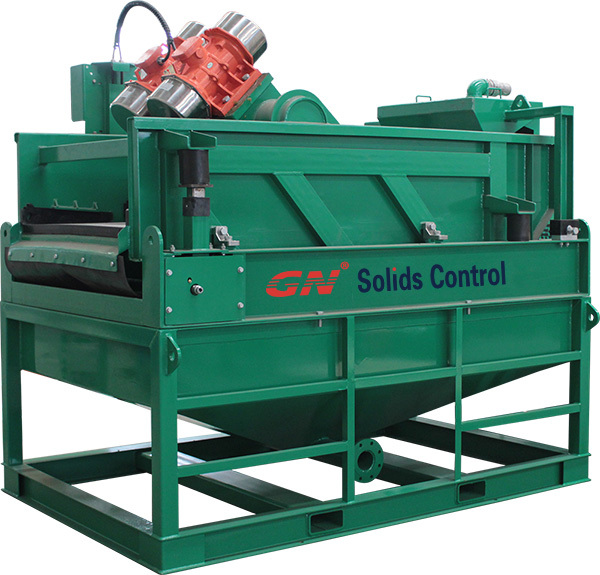 GN Solids Control always devoted to provide the most tailored mud systems for global clients. 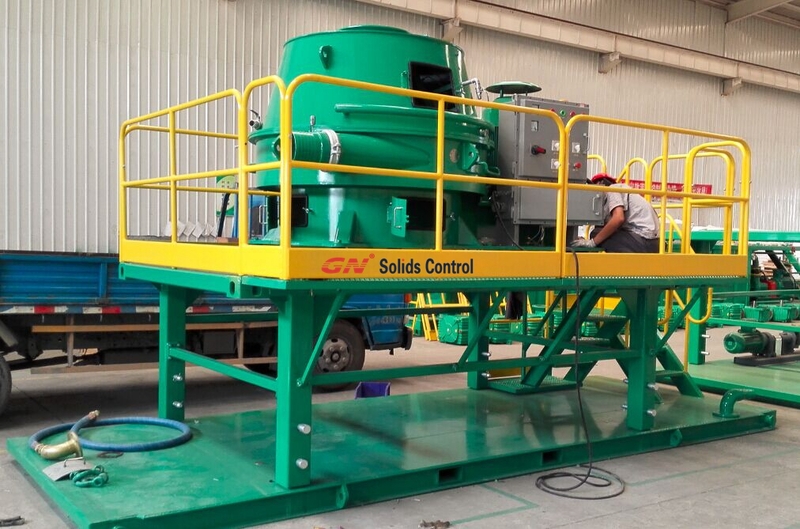 This ZJ 50 rig mud system is going to be used for whole drilling fluids treating and recycling. Oil price is not high enough, many drilling companies are stopping drilling activities, even those drilling companies keep drilling, they are trying to find the most cost effective to help them survive in this cold winter. 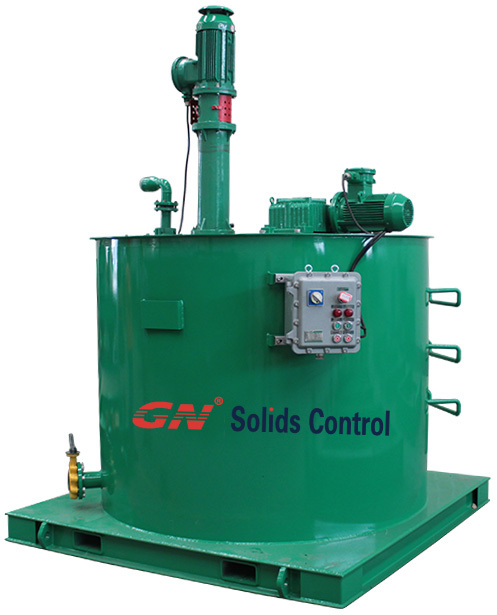 However, for those clients are still drilling, such as clients from India, Indonesia, Africa and Middle East, most of them have been realized the US and European solids control equipments are no longer their first choice, which turns out most of the cost effective equipments are made in China. 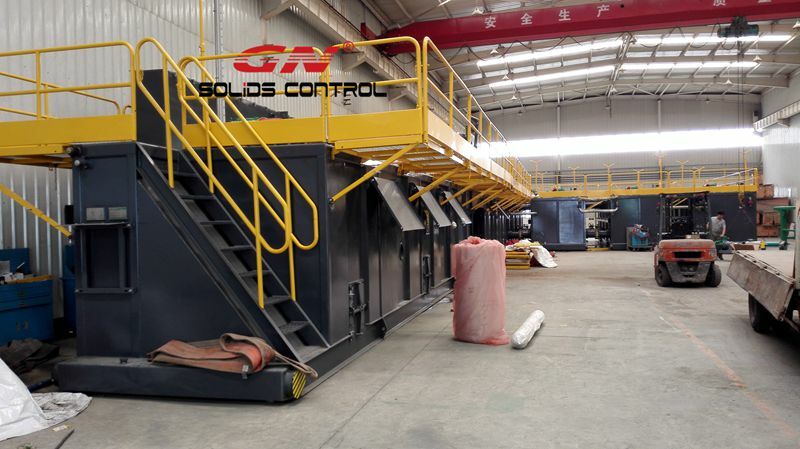 As the top one manufacturer, GN Solids Control got more orders due to thousands of successful projects. 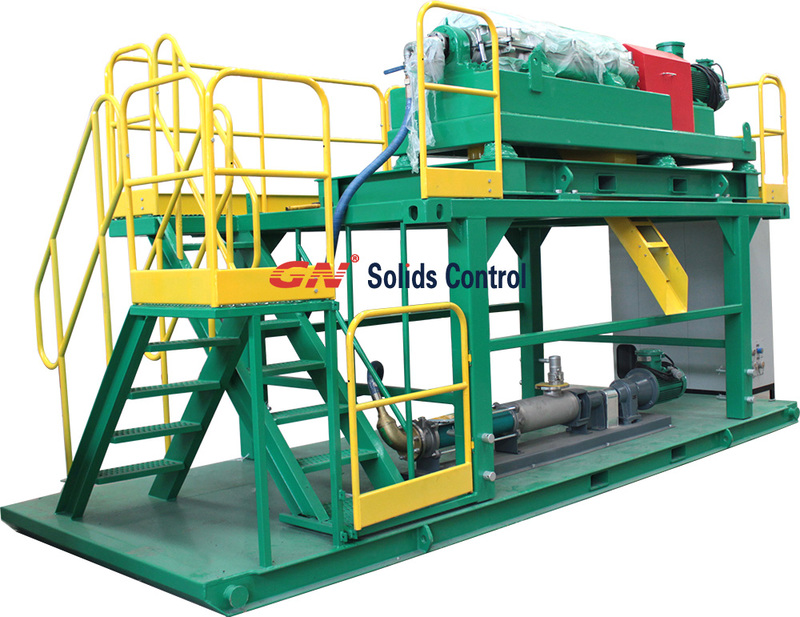 Drilling fluids is send to the 3 sets shakers via one distribution box. Solids larger than 100 microns are separated out while fluids are recovered and fallen off to the bottom tank. Desander and desilter are also used for further separating. Hydro cyclones made of polyurethane are effectively used for eliminate those solids larger than 25 microns. 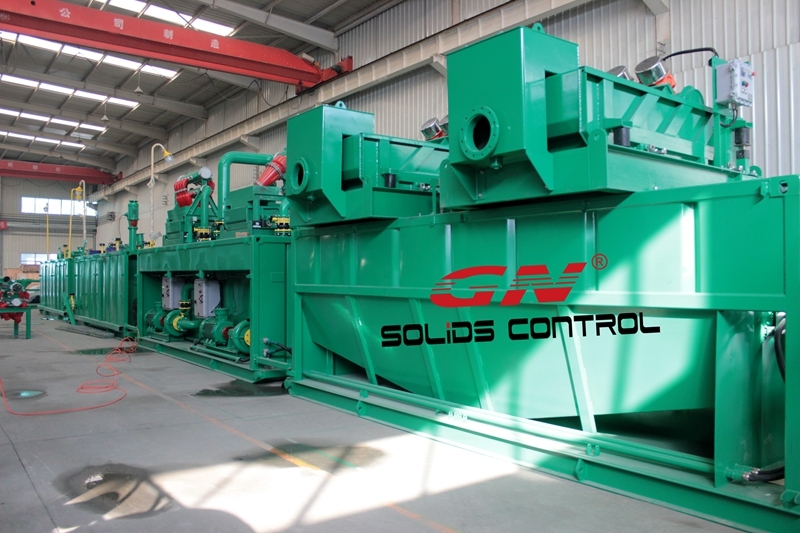 Vacuum degasser is also used before those cyclones in order to provide steady drilling fluids and keep the cyclones for wear resistance. 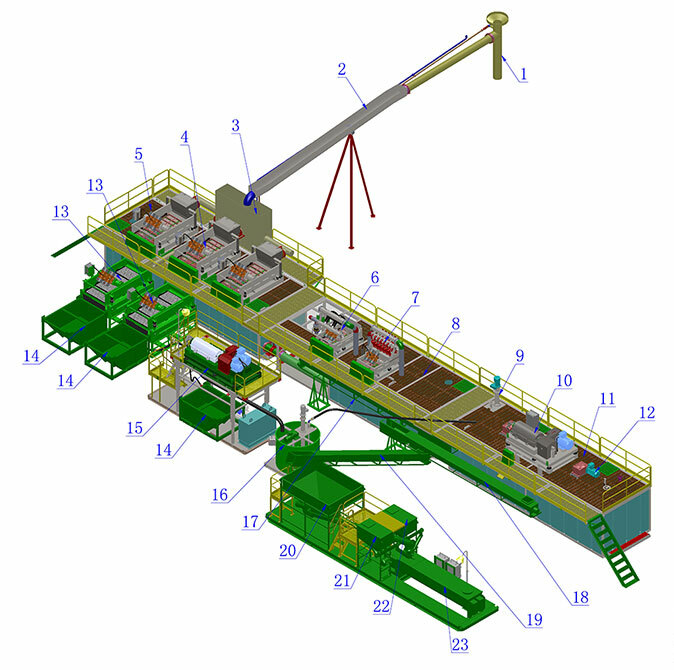 Decanter centrifuge is used here for recycle the barite. Reserve tank or storage mud tank is used for storage those clean mud so they can be reused. 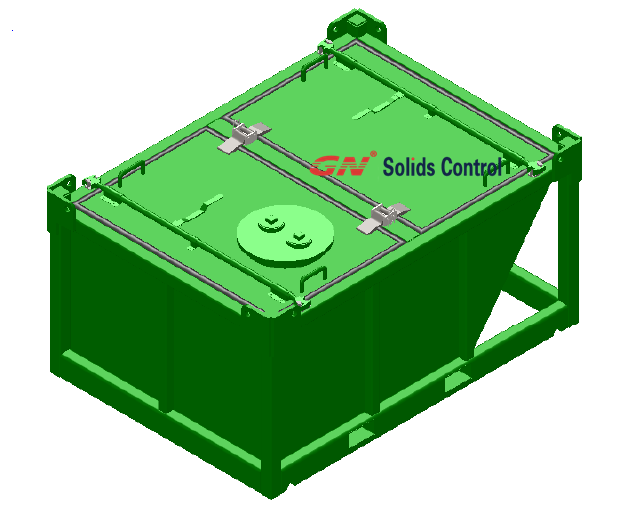 This unit is mainly used to storage and transfer the cuttings from GN dryer or GN Hi-G shaker. Drill cuttings discharged from the shakers or desilters are transferred to the collection hopper. Then the cuttings are feed by one vacuum cuttings pump.